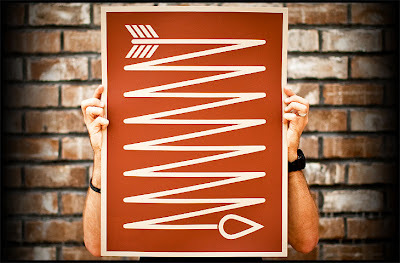 Inkefx is now offering 2 of their best selling t shirt designs as art prints. 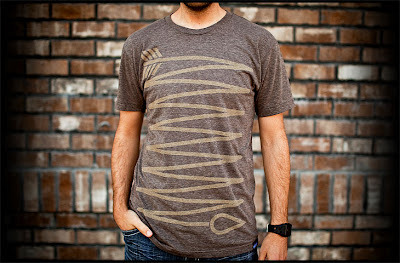 Their “Arrow” print is based off my favorite t shirt from the Inkefx catalog. The paper choices are top notch (the Black Licorice cover stock used for the “Burst” print looks amazing), each one is printed by hand, and they’re only $12 each. As an added bonus, if you like their Facebook page right now, you’ll automatically gain access to a 10% discount code. There’s a lot to like about Inkefx – well thought out designs, great color choices/combos, quality printing, and serious brand cohesion. They released their second line last week, and they just keep getting better. “Ration” is my favorite of the three new pieces. Other than being printed on a sweet color blank I really haven’t seen a lot of, I like that inspiration was drawn from an item from the Civil War but is very wearable today. Check them out, and if you like what you see, be sure to give their facebook page a like. I don’t own many brown shirts, but I’m considering adding this one from Inkefx to my collecton. 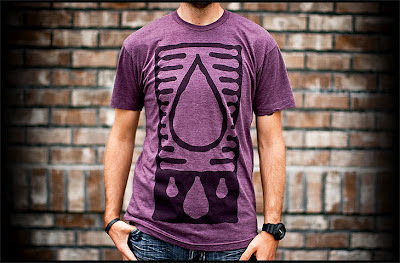 Solid design on a super soft tri-blend t shirt.